Rediff.com » Movies » Sonam Kapoor sizzles in red! Sonam Kapoor sizzles in red! 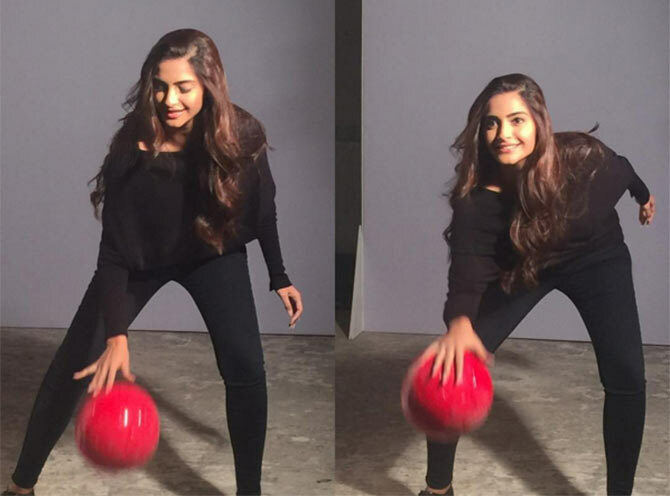 Sonam Kapoor took a break from promoting her latest film Neerja to shoot for a cosmetic brand at Mehboob studio in suburban Mumbai. ‘Miss playing bball! On set shenanigans!’ she added with another picture, above. Directed by Ram Madhvani, Neerja will release on February 19. It is based on the life of air hostess Neerja Bhanot, who was shot dead by terrorists in a hijacked Mumbai-New York flight on September 5, 1986. Several celebrities paid their respects to popular Malayalam actress Kalpana who passed away. It’s family time for Hrithik Roshan! 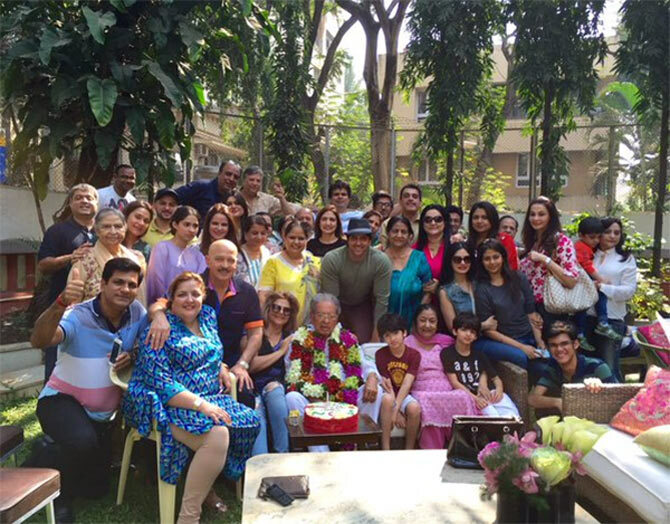 Hrithik Roshan celebrated his maternal grandfather and filmmaker J Om Prakash’s 90th birthday on January 24. Prakash is best known for films like Apnapan, Aap Ki Kasam and Aasha. The action-adventure film will also feature Jacqueline Fernandez, Akshaye Khanna, Saqib Saleem and Kabir Bedi. 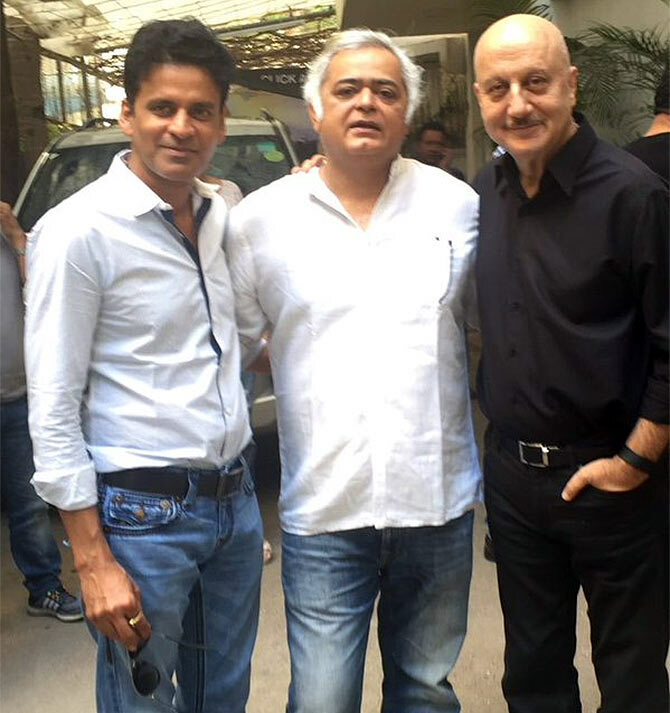 Anupam Kher, who recently watched Hansal Mehta’s Aligarh, turned to Twitter to praise the film. ''ALIGARH' is a beautiful film made so sensitively. Bravo!! @mehtahansal @Apurvasrani. @BajpayeeManoj is BRILLIANT.’ he tweeted, with a picture, above. The film is based on the real life incident of Dr Shrinivas Ramchandra Siras, who was suspended from his job because of his sexual orientation. Starring Rajkummar Rao and Manoj Bajpayee in lead roles, Aligarh will release on February 26. 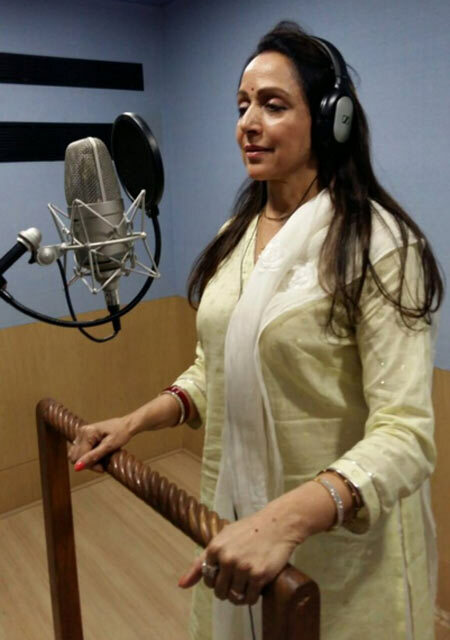 Hema Malini is working on her debut singing album, and recently recorded bhajans with santoor maestro Shivkumar Sharma. ‘2 legendary music maestros have composed the music for my bhajans. It's a great feeling! A big honour for me as I'm just a fledgling singer. Will soon share with u the names of 2 more such legends who will also compose the music for my bhajans which are to be recorded soon,’ she added. 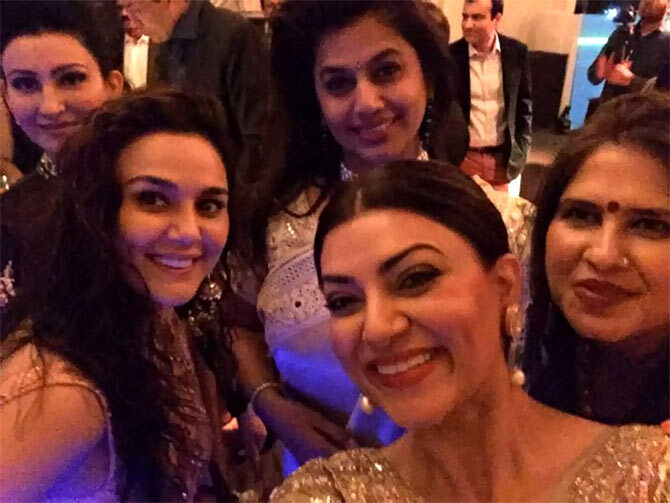 Sushmita Sen, who attended Asin and Micromax founder Rahul Sharma's wedding reception on January 23, caught up with Preity Zinta at the event. The event was organised to create awareness about cows and ensure better care for them. 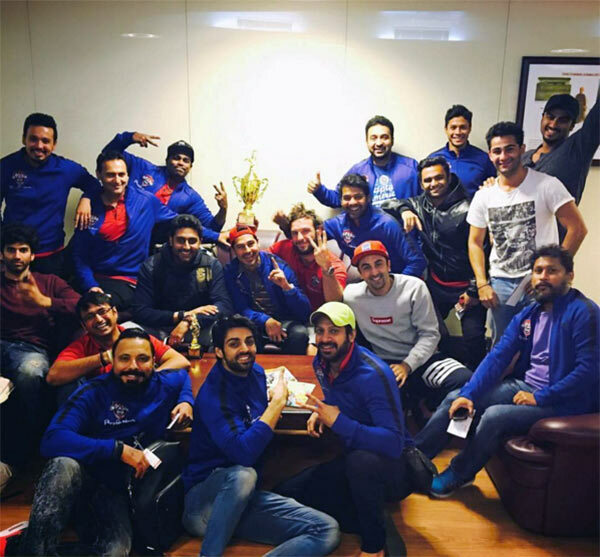 Ranbir Kapoor, Abhishek Bachchan, Aditya Roy Kapur, Arjun Kapoor, Armaan Jain, Dino Morea, Raj Kundra and Karan Wahi recently participated in a charity football match in Raipur. 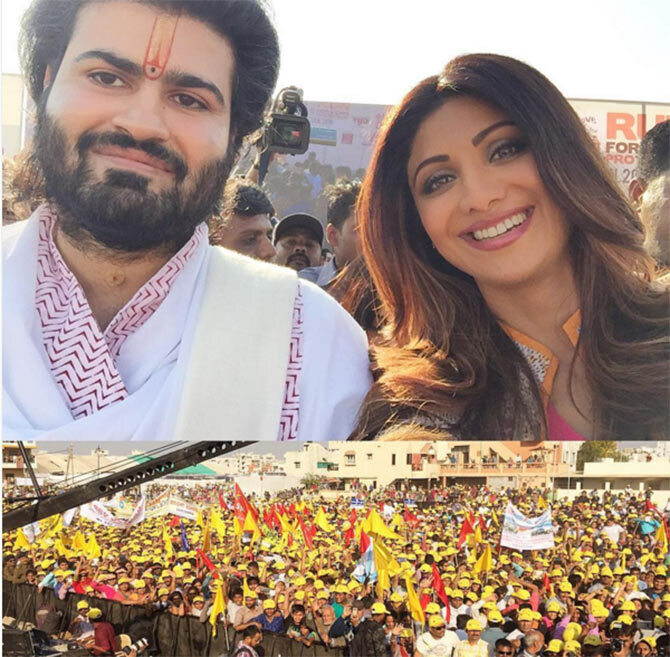 The event was organised to raise funds for drought-prone areas of Chhattisgarh and Swachh Bharat Abhiyaan. PIX: Prince wins Bigg Boss 9; Salman-Kat have fun!